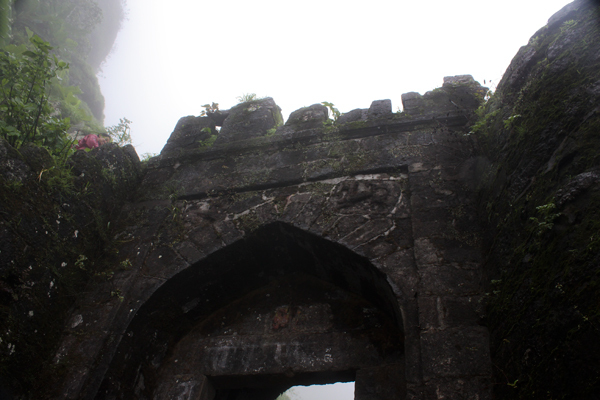 A sudden plan to Sinhagad near Pune – an amazing destination for a single day trip. A place full of for and lush green mountains, it’s a must nature lovers and trekkers. It was a Sunday morning when I saw an article about this place in the newspaper “Times of India”. The pictures attracted me and my family and the description of the place was more than enough to make us decide a quick trip to this place. 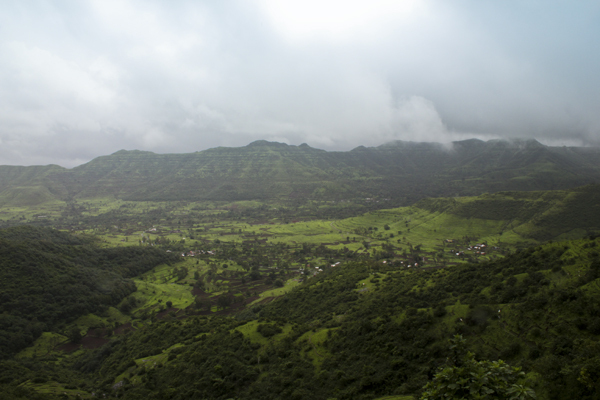 It’s only 160 km from Mumbai which makes it easy for people in Mumbai to make a one day trip. We started at around 10 AM and we were there by 12:30 PM including the small stop by the side of the road for a quick breakfast which we decided to carry instead of waiting at restaurants. We took the Old Pune highway instead of the Pune Express Highway as the road is beautiful during the monsoon and we were in no hurry. 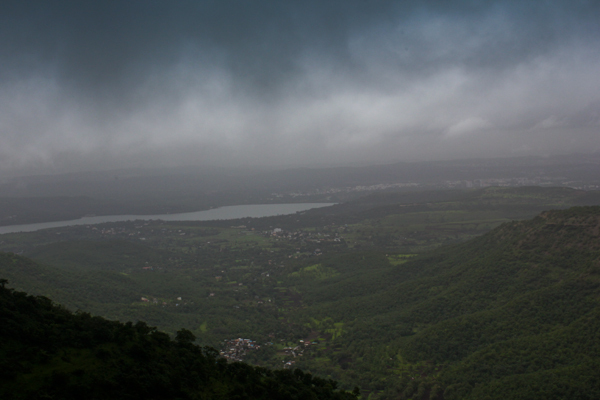 Although we got a little a little bit of traffic at Lonavala, other than that the roads were empty and good to drive. One good thing is that you don’t have to enter the main city of Pune to reach that place thereby avoiding the traffic. From the point where the express highway ends, it’s a stretch of around 10 km after which we need to make a U-turn under the bridge for Katraj and we get on to the Sinhagad road. This road runs by the side of a dam which is a huge water body and looks simply amazing. 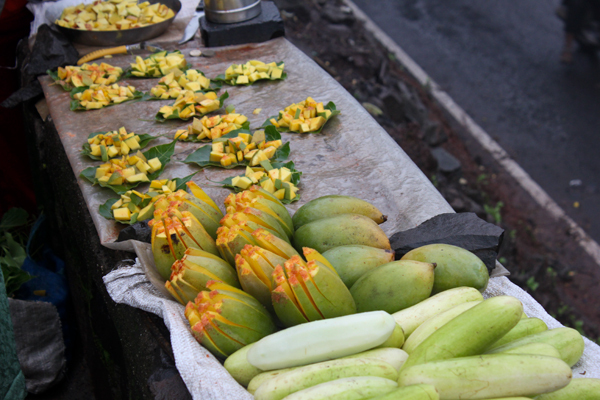 At places, you can find lots of local shops selling corns and people enjoying the cool and calm water of the dam. There is a checkpoint before the ghats start, and it costs Rs 50 for a four-wheeler and the roads are quite bad in this stretch. But the view is amazing. The mountains are full of fog and every now and then at the turns, the full city of Pune is visible which looks amazing. Also, the water of the dam does stretches into a huge area. We got heavy traffic near the top of the place and hence decided to park the car about a kilometre before the main point and walk the rest of the distance to avoid the heavy traffic. At the top, there are restaurants which server amazing“bhakri” and “pithla”. The place is cold and the Garma garam food of the restaurants is a simply amazing experience. And yes, don’t forget to taste the tasty “Kaccha Aam”. From this place, it’s only a walk of not more than 10 minutes to read the gate of the fort. Although most the fort is destroyed, it still has a lot to offer. 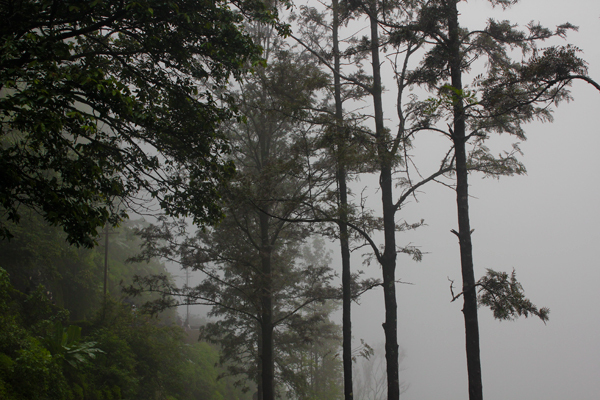 Apart from its historical importance; it is also a hot stop for a lot of trekkers. It is also a part of the training for the cadets of the National Defense Academy situated very close to this place.